“Snow White and the Huntsman” wasn’t a terrible movie, but you’d be hard-pressed to find anyone that was craving another installment, especially one without its titular heroine. Plans for a proper sequel were reportedly axed in the aftermath of Kristen Stewart’s scandalous affair with director Rupert Sanders, so Universal forged ahead with a Huntsman-centric film instead, relegating Snow White to a mere footnote. (Though she’s still hanging around the kingdom somewhere, she’s only mentioned in passing.) That may seem a bit harsh for a would-be franchise originally built around the Snow White tale, but the studio has tried to distract from Stewart’s absence with the casting of A-listers like Emily Blunt and Jessica Chastain. 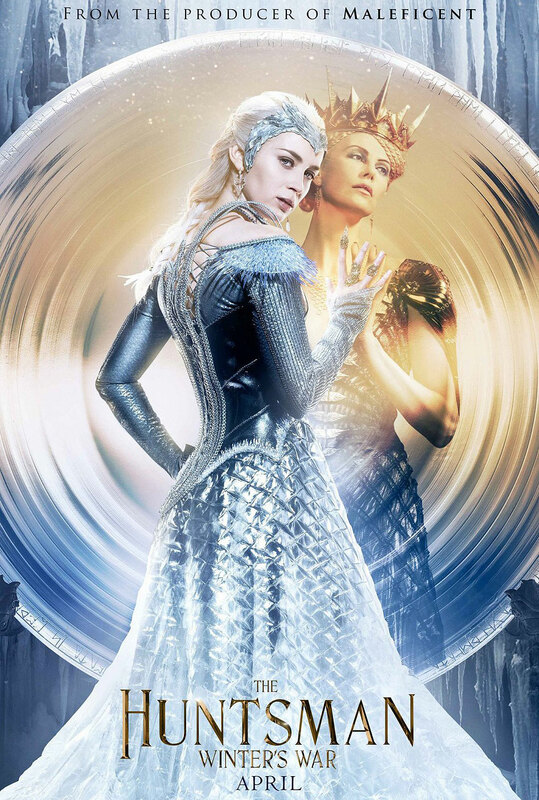 However, while both actresses help to class up the movie, no amount of talent can save “The Huntsman: Winter’s War” from its dull and completely pointless existence. In a lengthy prologue set before the events of “Snow White and the Huntsman,” we learn that the evil queen Ravenna (Charlize Theron) has a younger sister named Freya (Blunt), who flees to the north to rule her own kingdom after a tragic betrayal turns her heart ice-cold and awakens her dormant magical powers. In order to conquer the land, Freya trains an army of Huntsmen using orphaned children from the nearby villages and forbids them to love. But when she discovers that two of her best warriors, Eric (Chris Hemsworth) and Sara (Chastain), have developed a secret relationship over the years and plan to defy Freya by running away together, she sentences them to death. Eric miraculously survives, and seven years later, he’s living a peaceful life within Snow White’s kingdom following Ravenna’s demise. However, when her Magic Mirror is stolen while being transported to a place called the Sanctuary, where its dark power can be contained, Eric teams up with a pair of boisterous dwarfs (Nick Frost’s returning Nion and Rob Brydon’s newbie Gryff) to track it down before it falls into the wrong hands. During his journey, Eric crosses paths with a very much alive Sara – whose death, it turns out, was simply a trick played on him by the ice queen – and must regain her trust to stop Freya from retrieving the mirror for her own nefarious reasons. There’s so much talent on display here that it’s sad to see it wasted on this nonsense. Hemsworth and Chastain (clearly relishing the chance to play a badass) work quite well together, but the love story isn’t strong enough to carry the entire film. Additionally, Chastain struggles with her Scottish accent throughout the movie, while Hemsworth’s megawatt charisma is never fully utilized. At least they fare better than Blunt, whose character is such a blatant rip-off of Elsa from “Frozen” that Disney should be collecting royalties. Blunt looks absolutely bored in the role, given so little to do that she disappears for a large chunk of the film. The only thing worse than Freya’s lame motivation is Ravenna’s resurrection, a terribly plotted excuse to bring back Theron that is somewhat forgivable if only because she’s having so much fun as the deliciously wicked villain, wiping the floor with Blunt in the process. First-time director Cedric Nicolas-Troyan (the visual effects supervisor on the first movie) provides some nice visuals and plenty of action, but he’s unable to make the story engaging or even the least bit surprising. Anyone who’s seen the trailer for this film will know exactly what’s going to happen and the exact order it’s going to happen in, and that’s either really bad marketing or a damning indictment of just how predictable the story is. “Winter’s War” is so poorly written that it doesn’t have time for basic logic, completely glossing over details like how Eric escaped death or Freya has remained ageless. It just keeps chugging along, making things up as it goes in order to fill the necessary gaps that will eventually connect it to “Snow White and the Huntsman.” Like that movie, “Winter’s War” isn’t awful, but it’s such a generic and joyless experience that you’d be better off watching a supercut of all the films and TV shows that it imitates.